Demystifying Data Science is a wrap! Sign up to receive access to recordings of all 24 speakers’ presentations and Q&A. Vishal Maini is an entrepreneur, writer, and growth marketer working to advance the positive societal impacts of artificial intelligence. He is the co-author of Machine Learning for Humans, a contributing writer at UC Berkeley's Center for Human-Compatible AI, and an advisor for edtech startup Yup Technologies. Vishal previously led growth at Upstart for four years, starting as employee #10 and eventually leading a team of nine deploying monthly marketing budgets of $1MM+. The company now has 100+ employees, has originated over $1B in loans, and is GAAP-profitable. Vishal has his Bachelor's degree in Economics from Yale University and enjoys moral philosophy, fiction, applied cognitive science, and electronic music. He wrote his first line of Python in January 2017, and has learned a few things since then. Follow Vishal on Twitter at @v_maini. Tim Hopper is a data scientist and software developer in Raleigh, North Carolina. His educational background is in mathematics and operations research. He currently works at Distil Networks where he uses machine learning to block malicious, automated web traffic. Follow Tim on Twitter at @tdhopper. Emily is a Data Analyst at Etsy where she works with the search team to design, implement, and analyze experiments on the ranking algorithm, UI changes, and new features. Emily earned her masters in Organizational Behavior from INSEAD in 2016 and her bachelor's in Decision Sciences from Rice University. Emily is also a graduate of the Metis Data Science bootcamp. Follow Emily on Twitter at @robinson_es. 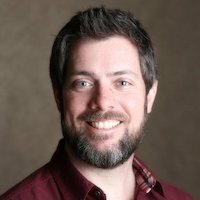 Kevin Markham is the founder of Data School, an online school that will help you to launch your data science career. He is passionate about teaching data science to people who are new to the field, regardless of their educational and professional backgrounds. He teaches machine learning and data analysis in Python to over 10,000 students each month through his popular YouTube channel. Prior to Data School, he co-founded a technology startup, worked for two national nonprofit organizations, served our country for two years through AmeriCorps, and worked for two seasons as a wildland firefighter. He has a degree in Computer Engineering from Vanderbilt University. Follow Kevin on Twitter at @justmarkham. Mara is a bit of a polymath and self-confessed data nerd. With a background in research in Science & Technology Studies, she has a breadth of experience in data analysis, visualization, and applications thereof. Currently, she's a Consultant at TCB Analytics. You can find her sharing R-related stuff on Twitter and turning technical subject matter into easy reading for non-technical audiences. When she's not talking data, she's diving into NBA stats, exploring weird and wonderful words, and/or indulging in her obsession with all things Archer. Follow Mara on Twitter at @dataandme. Claudia Perlich is the Chief Data Scientist at Dstillery. 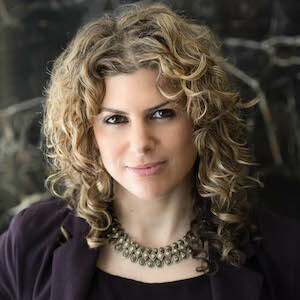 Prior to joining Dstillery (formerly at Media6Degrees), she spent five years working at the Data Analytics Research group at the IBM T.J. Watson Research Center, concentrating on research in data analytics and machine learning for complex real-world domains and applications. She has been published in over 30 scientific publications and holds multiple patents in the area of machine learning. 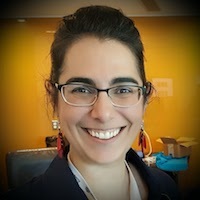 Claudia has won many data mining competitions, including the prestigious 2007 KDD CUP on movie ratings, the 2008 KDD CUP on breast-cancer detection, and the 2009 KDD CUP on churn and propensity predictions for telecommunication customers. Claudia received her Ph.D. in Information Systems from Stern School of Business, New York University in 2005, and holds a Master of Computer Science from Colorado University. 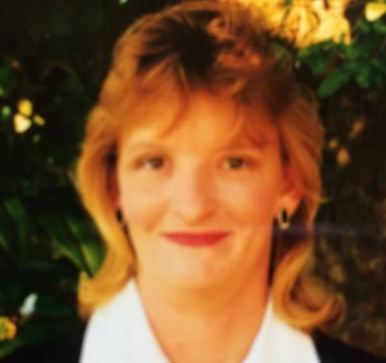 Follow Claudia on Twitter at @claudia_perlich. Chris Albon is a data scientist. He founded the TechStars company New Knowledge and is also the co-host of the data science podcast, Partially Derivative. 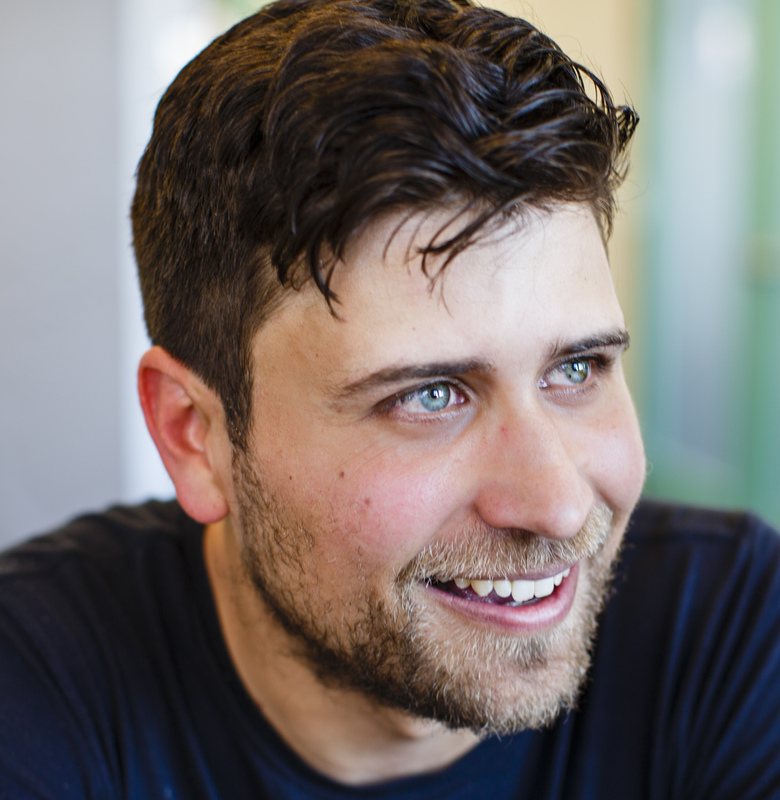 Previously, he led Ushahidi's work on crisis and humanitarian data and launched CrisisNET. Prior to Ushahidi, he was Director of the Governance Project at FrontlineSMS. He is also known for his machine learning flashcards. He earned a Ph.D. in Political Science from the University of California, Davis researching the quantitative impact of civil wars on health care systems. He earned a B.A. from the University of Miami, where he triple-majored in political science, international studies, and religious studies. Follow Chris on Twitter at @ChrisAlbon. Dr. Kirk Borne is an Executive Adviser and the Principal Data Scientist at Booz Allen Hamilton (since 2015). 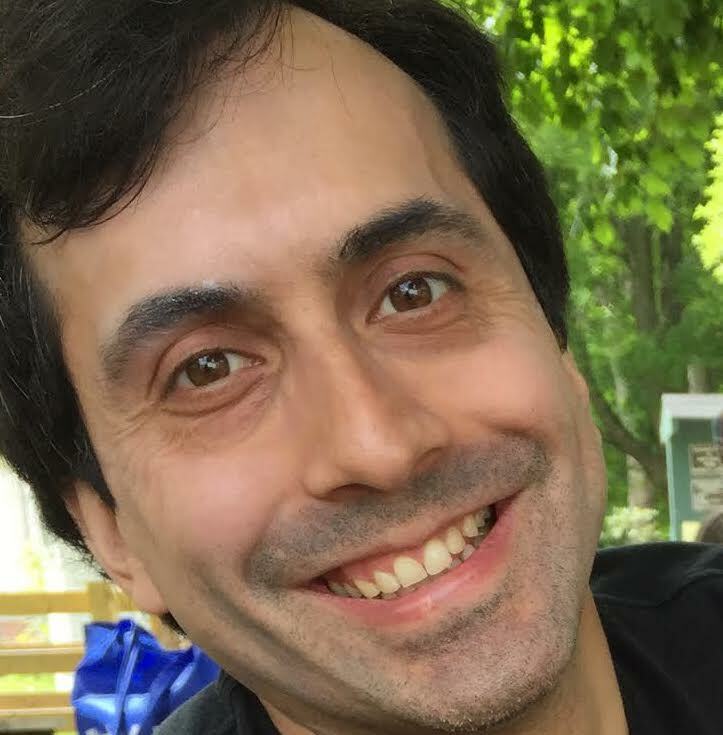 He previously spent 12 years as Professor of Astrophysics and Computational Science at George Mason University where he taught and advised students in the graduate and undergraduate Data Science degree programs. Before that, he worked 18 years on NASA projects, developing and managing large data systems for space science research, including a term as the NASA Project Scientist for the Hubble Space Telescope Science Data Archive, and several years as contract Program Manager in NASA's Space Science Data Operations Office. He is an active contributor on social media, where he has been named consistently among the top worldwide influencers in big data and data science since 2013. 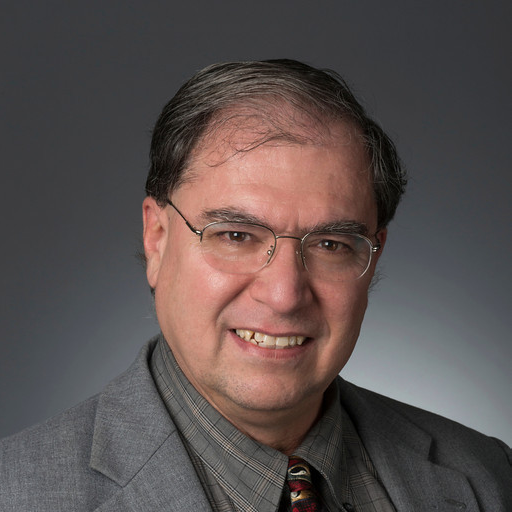 In 2014 he was named an IBM Big Data and Analytics Hero, and in 2016 he was elected Fellow of the International Astrostatistics Association. Follow him on Twitter at @KirkDBorne. 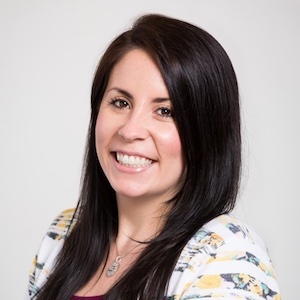 As Head of Careers for Metis, Megan has successfully coached and supported hundreds of people through their data science job search including: creating a personalized career strategy, identifying open job opportunities, providing introductions, preparing candidates for interviews, and navigating them through the salary negotiation process. Megan is passionate about helping people identify the right career choices and jobs they love. She got her Bachelor's degree in Political Science from Pepperdine University. Follow Megan on Twitter at @missmegana22. Carla is an acknowledged influencer and subject matter expert in the field of advanced analytics and data science. During the past 19 years, Carla has worked with Fortune 100 and 500 companies including but not limited to, Discover Financial Services, J&J, Hershey, Kraft, Kellogg’s, SCJ, McNeil, PBA, Disney, Deloitte and Firestone. Carla has multiple degrees in Mathematics and Economics from the University of Tennessee where she graduated tops in her class while raising two boys as a single mom. Carla has joined forces with Talent Analytics to spread the word of predictive and workforce analytics for pre-hire employment and retention/goodness of fit. Carla commented that after watching the wrong people being hired into companies over the last 20 years and leaving companies due to bad managers and teams that didn’t work, she wanted to be a part of change in the hiring process. 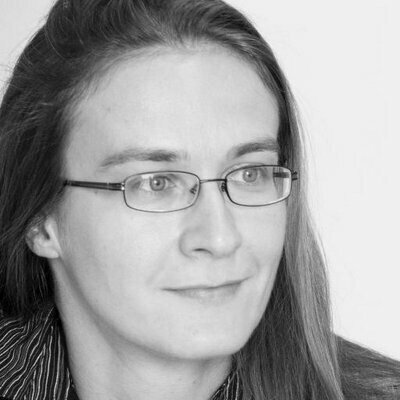 Follow Carla on Twitter @data_nerd. Bob Hayes is a researcher, writer and consultant. He likes to solve problems using the scientific method, and his interests are at the intersection of customer experience, data science and analytics. Bob holds a PhD in industrial-organizational psychology and has written three books on the topic of customer experience, measurement and analytics and blogs regularly on these topics. He is considered a top social influencer in the data science and machine learning space. In Data Science, Sebastian co-founded DataScienceWeekly.org to provide news and commentary in data science. The Data Science Weekly newsletter reaches tens of thousands of aspiring and professional data scientists on a weekly basis. Sebastian is the author of Data Scientist at Work, a collection of interviews with many of the world’s most influential data scientists. Sebastian is also the co-author of the "Get A Data Science Job Course," a three-part guide to getting started in data science, constructing your data science portfolio, and building a data science resume.In Data Visualization, Sebastian founded DashingD3js.com to provide online and corporate training in data visualization and D3.js to a diverse client base, including corporations like the New York Stock Exchange, the American Express Company, Intel, General Dynamics, Salesforce, Thomson Reuters, Oracle, Bloomberg Businessweek, universities (MIT, Georgia, and others), and dozens of startups. More than 1,000 people have attended his live trainings and many more have succeeded with his online D3.js training. Sebastian Gutierrez holds a BS in Mathematics from MIT and an MA in Economics from the University of San Francisco. 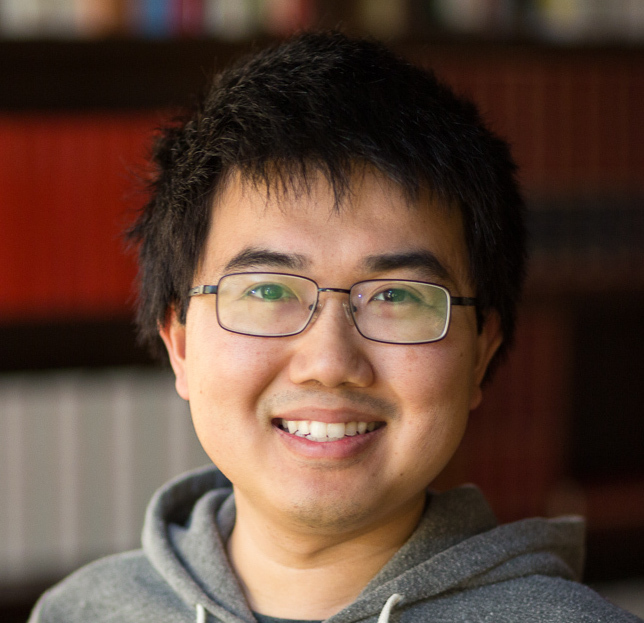 William Chen is a data scientist at Quora, where he leads data science efforts surrounding questions on Quora. He is also an avid writer and 4x Top Writer on Quora, where he answers questions about data science, statistics, machine learning, and how to make the career transition to data science. He has a passion for telling stories with data and sharing advice with aspiring data scientists on Quora. His data science content has been featured on VentureBeat, HuffPost, and Forbes. William is a co-author of “The Data Science Handbook” (a collection of 25 interviews) and “The Only Probability Cheatsheet You’ll Ever Need”. William holds degrees in Statistics and Applied Mathematics from Harvard University. Follow William on Twitter at @wzchen. 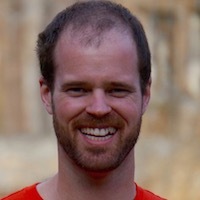 Since creating the first data science specific blog on the internet in 2012, Ryan Swanstrom has been named as a thought-leader in big data and listed as one of the most influential people on the internet for data science. Ryan currently works as the Director of Data Science for Matisia Consultants, where he helps companies use data to solve problems. He lives in South Dakota with his wife and five children. 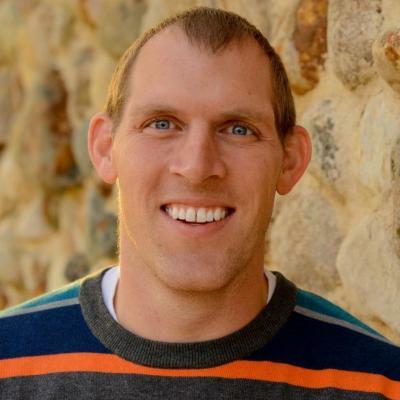 You can follow Ryan's Data Science 101 blog or follow Ryan on Twitter @ryanswanstrom. Rumman's passion lies at the intersection of artificial intelligence and humanity. She comes to data science from a quantitative social science background. She holds two undergraduate degrees from MIT, a Masters in Quantitative Methods of the Social Sciences from Columbia University, and a Ph.D. from the University of California, San Diego. More recently, she has emerged as a thought leader in the San Francisco Data Science community and in mainstream media, she has been interviewed for the PhDivas podcast, German Public Television, Software Engineering Daily, RE-Work, StemGirls, and fashion line MM LaFleur. Her professional consulting experience includes the BBC, Capital One, the World Bank, and LACMA, among others. She is also the co-host of the podcast Studies Show, which is a critical take on data literacy in pop culture and mainstream media. Follow Rumman on Twitter at @ruchowdh. Camille Eddy is currently in her senior year studying Mechanical Engineering at Boise State University (BSU). She is also a robotics intern at X formerly known as Google X and has previously completed research in Augmented Reality at BSU, as well as robotics and machine learning research as an intern at HP Labs. Camille actively speaks around the country on topics about tech and diversity. Follow Camille on Twitter at @NikkyMill. 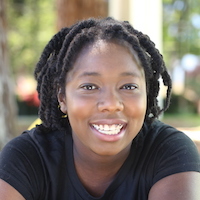 Rachel Thomas has a math Ph.D. from Duke and was selected by Forbes as one of “20 Incredible Women Advancing AI Research”. She is co-founder of fast.ai and a researcher-in-residence at the University of San Francisco Data Institute. Her background includes working as a quant in energy trading, a data scientist + backend engineer at Uber, and a full-stack software instructor at Hackbright. Rachel’s writing about diversity and data science has made the front page of Hacker News 4x; been translated into Chinese, Spanish, & Portuguese; and been featured in newsletters from O’Reilly, Fortune, Mattermark, & others. 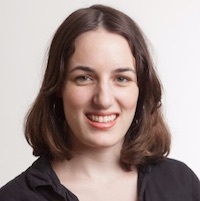 She writes an ask-a-data-scientist advice column and is on twitter @math_rachel. Rachel co-founded fast.ai with the goal of making deep learning accessible to people outside of elite institutions, who are tackling problems in meaningful but low-resource areas. Over 50,000 students have started the FREE fast.ai course, Practical Deep Learning for Coders, and graduates from the course have gone on to become Google Brain residents, earned patents, gotten new job offers, won hackathons, and had their work featured in Forbes and on HBO’s Silicon Valley. Follow Rachel on Twitter at @math_rachel. Joel Grus is a research engineer at the Allen Institute for Artificial Intelligence, the author of Data Science from Scratch, and co-host of the Adversarial Learning podcast. Previously he worked as a software engineer at Google and as data scientist at a variety of startups. 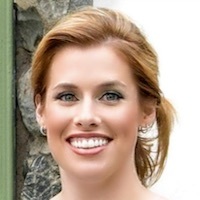 Aylee Nielsen is the Analytics Community Manager at IBM Hybrid Cloud, where she is responsible for overseeing and reimagining the 400K+ user group and nearly 150+ member IBM Analytics Champions advocacy program. She is committed to enriching vibrant user communities through tactics and practices that strive to truly empower all users and customers. In her current role, Aylee is exploring the full potential of brand advocacy and redesigning communities, large and small, that are in need of new leadership, purpose, and meaning. 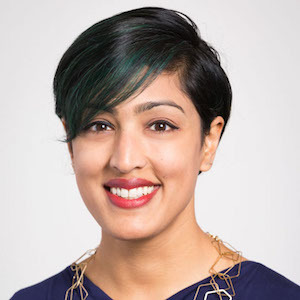 Previously, as Head of Influencer Engagement, she reshaped the way IBM Analytics envisioned and practiced thought-leadership while building a strong and enduring community of some of the world’s most influential data and analytics experts. She far exceeded targets, and broke records as she set new standards and restructured that influencer program. Aylee is also passionate about the art of digital storytelling, and fascinated by the exercise and psychology of perfecting shareability. Her background spans a variety of fields from Business Analytics and Visualizations to Data Science and Machine Learning to Hybrid Cloud and Data Management. You can follow Aylee on Twitter at @AyleeNielsen. Vin is the founder and chief data scientist of V-Squared. He has been an applied data scientist for the last eight years and has worked in software development for 12 years before that. Yes, even on his bio there’s math. He’s been published on business strategy and machine learning topics. He speaks a bit and tweets out what he’s reading. He’s only as good as his next project so he’d better get back to it. Jessica is a tech researcher at the scientific publishing company Elsevier, where she leverages her background as a biomedical scientist and machine learning to gain deeper insight into their published content. Jessica is also a graduate of the Metis Data Science bootcamp. Andre is a Chicago native, but he has lived on both coasts. He is a data scientist, but took a few turns to get here. He was initially a bioinformatician, and found himself trying to do data science projects on biological topics. He enrolled in the Metis Data Science bootcamp to expand his tool set and apply himself not only to biological problems, but also to anything. He loves data, and we what can do and understand with it. 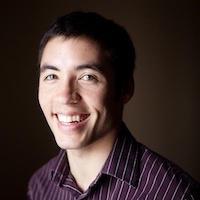 Naoya Kanai is a data scientist based in San Francisco. 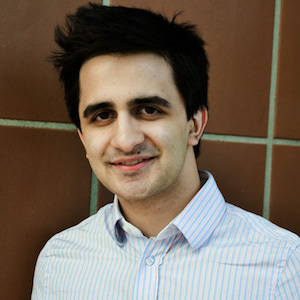 Before experiencing Metis both as a student and teaching assistant, he worked in diverse roles ranging from back-end development, marketing, and operations at local startups, in addition to advising multinational corporations at Bain & Company. 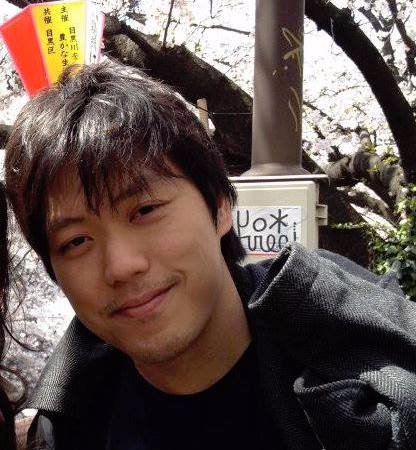 A graduate of Stanford University and The Juilliard School, Naoya is active as a professional cellist and enjoys performing, teaching, contributing to open source, and watching soccer. Lorena is an International Development professional turned Data Scientist. Her previous experiences include serving as a Peace Corps volunteer in West Africa and South Africa, interning with the United Nations Development Program, acting as an Evaluation Consultant for a microfinance in Haiti, and working as a Research and Evaluation Analyst for a domestic violence organization. It was Lorena’s strong belief that the nonprofit and public sectors should have the same drive and capabilities as their for-profit counterparts that led her to Data Science. Lorena currently works as a Data Scientist at CKM Advisors and holds a dual Masters in Economics and International Political Economy and Development from Fordham University. Lorena is also a graduate of the Metis Data Science bootcamp. Michael found an interest in data science through his hobby of following basketball analytics. With a background in applied mathematics and economics, Michael decided to make a leap from his career as a trader -- his sights set being a data scientist with an NBA team. After a brief stint as a consultant at IBM, Michael eventually landed with the Philadelphia 76ers as a data scientist, building tools and analyzing data to help support basketball operations. Michael is also a graduate of the Metis Data Science bootcamp. Brandon loves solving puzzles and building things. Practicing data science gives him the opportunity to do both in equal measure. Like most data scientists, he came to the field indirectly. He started by studying robotics and human rehabilitation at MIT, moved on to machine vision and machine learning at Sandia National Laboratories, then to predictive modeling of agriculture DuPont Pioneer, to cloud data science at Microsoft and finally to building models with global data at Facebook. In his spare time, he likes to rock climb, write robot learning algorithms, and go on walks with his wife and their dog, Reign of Terror. You can follow Brandon on Twitter at @_brohrer_. Renee Marie Parilak Teate is the host and creator of the Becoming a Data Scientist Podcast and works as a Data Scientist at HelioCampus, a higher ed analytics start-up. She has an undergraduate degree in Integrated Science and Technology from James Madison University, and a Masters in Systems Engineering from the University of Virginia. Before officially becoming a data scientist about 1 year ago, Renee worked with databases for over 10 years as a relational database designer, data-driven website developer, and SQL Data Analyst. At HelioCampus, Renee takes on a variety of roles, from SQL ETL development to Tableau dashboard design to Predictive Modeling with Python and scikit-learn to custom data analysis and training. 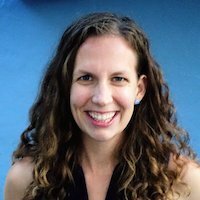 Renee also created DataSciGuide, a data science learning resource directory, and loves chatting with people on Twitter about transitioning into data science careers. Follow Renee on Twitter at @becomingdatasci. You have been cruelly misled into thinking that the way to get a data science job is to stack up pre-requisites and hope somebody picks you. You have wasted your very limited time and energy trying to keep up with the ever growing heap of data science "must-knows" like Machine Learning Algorithms, Distributed Computing, SQL & NoSQL Databases, Statistical Modeling, Deep Learning, Natural Language Processing, Data Visualization, Hadoop, Kafka, Spark, Big Data, and more. Your patience, confidence, and sleep are plummeting from the fear that you'll chose the wrong things to learn and you won't get a data science job. How would you feel waking up tomorrow knowing how to get the exact type of data science job that fulfills all of your goals? You would be overflowing with extra energy and time because of your ability to make all of the right choices of what to learn, what to study, and what to ignore. Your increased confidence in getting the right type of job (for you) with the right group (for you) at the right company (for you) doing the right things (for you) would show up in all other aspects of your life. How excited and relieved would you be having a crystal-clear guide for how to be the chooser rather than the person waiting at the sidelines hoping, praying, and crossing-their-fingers in the hopes that they are chosen? You'd be a high-profile data scientist with a lucrative salary in no time! Great news - you can stop waiting and hoping a data science manager will pick you. You can become a Data Scientist without being overwhelmed, perplexed, or unmotivated. This talk will make you a chooser by showing you three key ways you can turn the "Getting A Data Science Job" process on its head so that you have a 100% highly customized plan for you. You'll learn a) how to take control of the process from the beginning, b) how to build your portfolio so that you beat out all the other candidates who are hoping to be chosen, and c) how to revamp your resume so that your resume always goes to the top of the "must-hire" pile. I will highlight the 5 most important things in data science, providing a short illustrative (hopefully enlightening and informative) example from my own experience for each of these: The Data, The Science, Data Storytelling, Data Ethics, and Data Literacy. Since the primary focus of data science is discovery (new insights, better decisions, and value-added innovations), I will include an overview of the different flavors of machine learning for discovery in big data, plus a summary of the different levels of analytics maturity and what they mean for real world data science applications. I will finish with a review of the top characteristics of leading candidates for data scientist positions within my organization. Ten years ago, while I was studying math in my undergraduate, Business Week published an article declaring that "There has never been a better time to be a mathematician." As the field of data science has developed since, so has the hype around mathematics. While mathematical modeling is an important component of data science, my math education did little to prepare me for the types of challenges I face in my day-to-day as a data scientist. Many of my most valuable skills and tools are not taught in any traditional educational settings. In this talk, I will discuss this disconnect between my mathematics education and my data science career, the importance of self-instruction for data scientists, and advice on how students can prepare for a career in data science. In this talk, you'll learn how you can get started with your data science career today by learning how to master a small set of tools in a single programming language. The worst part of data science is the hiring process. It’s broken on both ends. People trying to get into the field don’t really understand the field well enough to position themselves for success. Companies hiring their 1st data science team have much the same problem. This is the real data science skills gap. I want to speak to both audiences: aspiring/novice data scientists and those tasked with building their 1st team. Business needs meet skill sets in a rapid-fire fashion. I want both sides to leave with a framework, high quality questions to ask, and an understanding of what they need to educate themselves about to be successful. What sort of personality makes for an effective data scientist? Definitely curiosity, I remember in college, my professors shut the door if they saw me coming because telling me that a2 + b2 = C2 was never enough. I wanted to know why. So the biggest question in data science is “why?” Why is this happening? If you notice that there’s a pattern, ask “why?” Is there something wrong with the data or is this an actual pattern going on? Can we conclude anything from this pattern? A natural curiosity will definitely give you a good foundation. Data science is a way to solve problems using data and analytics. To ensure data science success, you need to provide data professionals with an environment that is open, engaging, and fosters collaboration. To explore how you or your data science team can optimize the value of your data, this talk is for you. Discover how to take your career to the next level, while also paving a path to personal fulfillment, by earning influence in your industry through active community engagement and advocating on behalf of the organizations you love and work with the most. Technology companies, large and small, are investing in customer communities in an effort to learn more from their users, ensure customer success and stay competitive. This is great news for data scientists because investment in communities enables you to effortlessly connect with peers that have common interests, share best practices, and build your personal brand or expertise. Get insider tips and tricks for using corporate community and advocacy programs to excel your career in data science from an Analytics Community Manager who cares deeply about enriching vibrant user communities and empowering users. This presentation is not about data science, or machine learning, or neural networks, or anything you'd expect from a talk like this. Rather, this talk is about how to learn data science. How to grasp its basics, claw your way to solid understanding, then reach for mastery. This is a talk about notebooks, markers, flashcards, and personal projects. 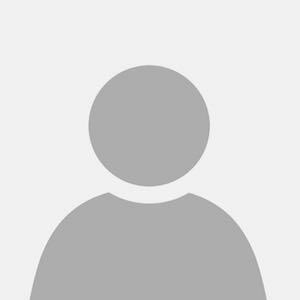 If you want to learn how to learn data science, this is the talk for you. Data scientists use statistics to reach meaningful conclusions about data. Unfortunately, statistical tools are often misapplied, resulting in errors that cost both time and money. By being aware of the most common mistakes involving statistics, we can become better and more productive data scientists. To illustrate the kinds of problems that often arise, I present examples of egregious misuses of statistics in business, technology, science, and the media and analyzes them through a review of basic statistical concepts. I explain how to weed out the most common errors and reduce the chance of being fooled by statistics. No tool is best for all problems. The very thing that makes an algorithm great for solving one problem can make it terrible for another. To know which tool to use when, it helps to understand a little bit about how they work. There are several complementary strategies for learning how tools work, including tutorials, coursework and coding them up yourself. By far the best that I have found to familiarize myself with a tool is to build something with it. I haven’t found any shortcut to this. The promise of artificial intelligence is that it will give use tools that are good at solving lots of different problems. When designing general purpose tools, it’s important to remember that being excellent at everything is impossible. Every agent has blind spots and weaknesses. Defining our set of target tasks can keep us focused on building tools that are excellent at the right things. Data Scientist is consistently rated among the top career choices. However, being a data scientist can mean many different things. There are numerous skills involved, and few people can master them all. This reason is why data science is rapidly adopting the team approach. In the new teams, each member focuses on very specialized skills. What are these specialties? This talk will cover the common specialties in data science. It will provide some examples and a first step for getting started in each specialty. There is no long checklist, no sequence of courses to take, and nothing overwhelming. All you need to do is choose a specialty and go! And lucky for you, there is no wrong choice. Are you a beginner, or maybe transitioning into a data science career? 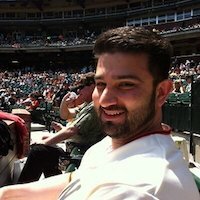 Could you use some help figuring out what topics to learn to become a data scientist, and how to frame your learning journey? Then this talk is for you! Renée M. P. Teate from the Becoming a Data Scientist Podcast shares advice from her podcast guests, and from her own journey to become a Data Scientist at HelioCampus, a higher ed analytics startup. Learn how to evaluate advice from others, construct your own learning path, and find learning resources to get yourself started on the path to becoming a data scientist! There are 44 types of data scientists. I'll tell you 88 lines worth of things I've learned about them. Hopefully they'll rhyme (the lines, not the data scientists). Many people claim that deep learning needs to be a highly exclusive field, saying that you must spend years studying advanced math before you even begin to attempt it. Jeremy Howard and I believed that this was just not true, so we set out to see if we could teach deep learning to coders (with no math prerequisites) in 7 part-time weeks, using a code-centric, application-focused approach. We've now successfully taught thousands of students, and our students have gone on to become Google Brain residents, created new deep learning based products, launched companies, won hackathons, and had their work featured on HBO's Silicon Valley. I’ll share what we learned about how to learn deep learning effectively, so that you can set out on your own learning journey. What Predictive Modeling Can and Cannot Do! Predictive Modeling and Supervised Learning are staple techniques in the Data Science arsenal of algorithms. The origins of some of those solutions trace back more than 50 years, but with the recent wide adoption of data technologies they are receiving a new level of attention. This talk takes on some of the more commonly asked question around predictive modeling and machine learning: What are the key success factors of making prediction work? Which algorithm is best? When does it even make sense to try predictive modeling? When is a predictive model good enough? And when do predictive models fail? Data Science interviews are a beast. Companies want to test your coding skills, assess your stats knowledge, understand your problem solving skills, gauge your ability to communicate real business insights, and evaluate your overall “fit” for the company culture. Overwhelmed yet? I’ll break the process down piece by piece, walking you through what to expect and how to best prepare so you can overcome those pre-interview jitters. I’ll also share some insider tips and tricks to help you stand out from the crowd. Many aspiring data scientists I talk to are confused about the specific day-to-day role of a data scientist. A lot of this is because different companies use the same term to refer to vastly different roles. I will talk about the different kinds of data scientists at various kinds of companies, the kind of day-to-day responsibilities you might expect from each of the roles, and how you can start figuring out which one is more interesting to you. I will have a special focus on Product Analytics (my main role at Quora) which focuses on using statistics, programming, and metrics to help product development make better decisions with data. Is That a Reference I am Supposed to Get? Are you a real Data Scientist? No? Cool, neither am I — well, at least not according to some of the Venn diagrams I've seen out there. I don't even play one on TV. If you're reading this, though, someone out there thought it'd be a good idea to have me talk about something data science-y. Barring a case of mistaken identity, this is probably because I've been learning, doing, sharing, and "discussing" data science on Twitter for the past couple of years. This talk will cover some of the ways in which I try to navigate the overwhelming amount of data-science material out there. I'll go through mistakes I've made, lessons I've learned, and how connecting with data science communities (online and off) makes all of the above less intimidating, and much more fun than it has any right to be. We'll figure out how you, too, can go from being "not a real Data Scientist," to "not a real Data Scientist whom people ask to talk about data science." A/B Testing has become the gold standard for measuring the effectiveness of changes to a company's website or app, ranging from a change in the color of a button to a whole new advertising model. It's used extensively at large technology companies such as Amazon, Facebook, and Google, as well as at small startups and non-tech companies. For companies with a lot of traffic and a data engineering pipeline already set-up, A/B Testing can appear to be exceedingly simple. But whether it's trying to sequence experiments, work with non-technical partners, or deciding what to do when there is a bug, there are a number of issues that can complicate an analysis. We'll cover some of these business and statistical challenges, using some recent experiments at Etsy as examples. Artificial Intelligence is not just able to mimic us, but now it can create art and music. How does AI ‘imagine’? I’ll talk about the model that makes this possible - Generative Adversarial Networks, and how that leads to some surprising findings about machines and humanity. Our actions and choices as humans are largely influenced by the culture around us—things like race, language, accessibility, and sense of equality. As we offload decisions to algorithms and machine learning, those choices become less and less visible, leaving us to wonder—can algorithms really understand sensitivities like humans do? In this talk, Camille walks through some examples of services we all use and how they have adapted machine learning to become more inclusive. She explores what we can do to create culturally sensitive computer intelligence and why that is important for the future of both AI and human beings. What does linear regression have to do with building a reinforcement learning agent that defeated the world's best Go players in a competition? How do concepts from Bayesian statistics inform strategies for exploration and exploitation? What is the 20,000-foot view of how a robot mouse might learn to navigate a maze and find the reward of cheese it seeks? In this session, we'll explore how supervised learning concepts form the foundation of deep reinforcement learning, an active research area at the cutting edge of artificial intelligence. Topics covered: linear regression, objective functions, gradient descent, Markov decision processes, Q-learning, policy learning, and deep reinforcement learning. For individuals seeking to transition their career into data science, a bootcamp can be a smart decision, providing a structured learning environment at a fraction of the cost of obtaining an advanced degree. The first Metis bootcamp ran in Fall, 2014. 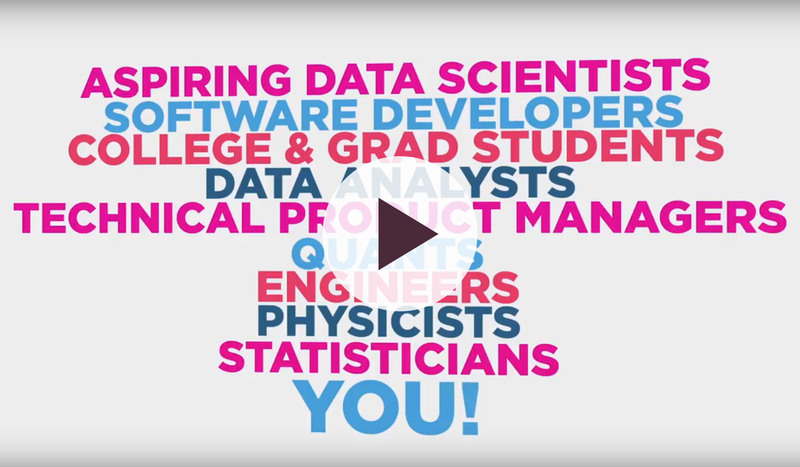 Since that time, Metis has graduated hundreds of students, who are now in data-science related jobs across a wide range of industries and companies, including Facebook, Apple, IBM, Booz Allen, Tesla, and Capital One Labs. Megan Ayraud, Head of Careers for Metis, will moderate this five-person Metis alumni panel to see, their answers to why they chose to attend a bootcamp, what background training they had, how well prepared were they for their data science jobs, what was the post-bootcamp interview process like, and many other questions. Copyright © 2017 Kaplan Inc. All Rights Reserved.